NASA’s Juno spacecraft will be entering Jupiter’s orbit later tonight after a very long journey, kicking off the next phase of its mission. 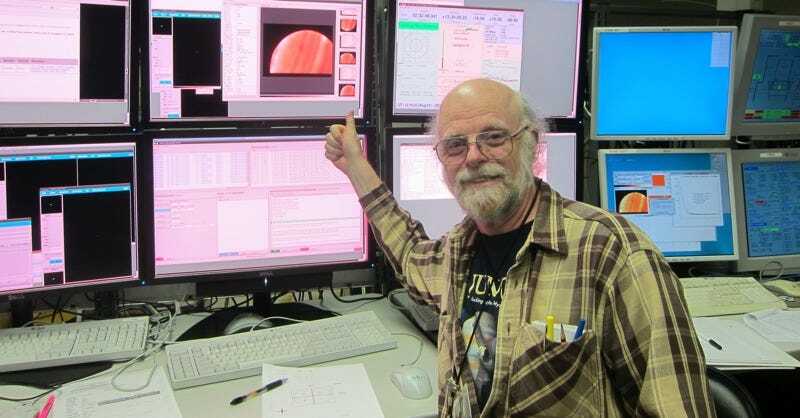 And we’ve got NASA JPL scientist Glenn Orton with us today to answer your burning questions about Jupiter, the Juno mission, what the team hopes to learn about our solar system, and more. It all starts right here at 3 PM ET/12 noon PT. UPDATE: And that’s a wrap! A thousand thanks to Glenn Orton for answering all our questions. And thanks to readers for bringing the smart queries. Go on, you know there’s tons of stuff you’re dying to know about the Juno mission and the mysteries of the largest planet in our solar system. Ask away!